Home > Employment Law > What is the Average Settlement for Wrongful Termination? Wrongful termination is a firing that is illegal, such as violating an employment agreement, breaking state or federal law, or being motivated by discrimination. These are the “automatic” violations that mean the termination is illegal, but there plenty of other ways for your firing to be considered illegal. It’s important to understand the terms of your employment because it plays a part in dictating what an illegal termination is. The most common form of employment is “at-will”, which means the employer has the right to fire you at their own will. Your employer does not need a good reason, nor does he or she need to provide an advance warning or are required to follow procedures to terminate you. In Virginia, every employee is considered at-will unless there is evidence to the contrary. If you’re an at-will employee, proving your termination was illegal can be a little more difficult if it doesn’t violate state or federal law or is a result of workplace discrimination. Employment that is not considered at will is “for cause” termination. This usually means that your employment contract explicitly states the reasons for your termination. These causes protect employees from being fired for other reasons. Should you be fired for reasons not outlined in your contract, you have been wrongfully terminated. 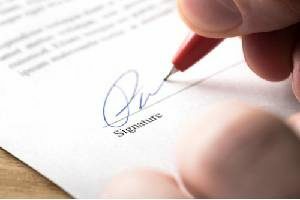 If you were fired, however, because of any legally considered reasons outlined in your for-cause termination contract, your firing can still be considered illegal if the processes of termination in your contract were illegally violated. Whether your employment is at-will or you are employed under a contract, this can have an effect on the statute of limitations. This mostly has to do with which laws are being violated to constitute the firing as a wrongful termination. Some laws can have a specific statute of limitations. The majority of wrongful termination claims don’t reach the courtroom and are settled beforehand. This is due to the fact that settlements are considered the best option for both parties because civil trials have the potential to be unpredictable. For a company, they often prefer to settle these cases outside of court because even if they are able to successfully defend themselves, it is still possible for wrongdoing and potentially damaging information about the company to be disclosed during a trial. The average settlement for wrongful termination cases that are resolved out-of-court is between $5,000 (or less) to $80,000. 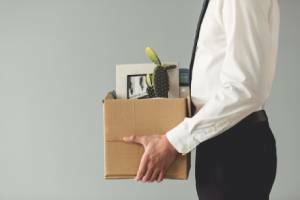 The monetary value of wrongful termination is based on several factors which are used to determine how much loss was suffered as a result of the firing. The first of these is wage loss. This is the amount of wages that you lost from the date of termination until the present. As the plaintiff, you have the duty to mitigate these damages through measures such as seeking another job. Any benefits you receive from this new job are deducted from the past wage total. This means that if you are able to find another job relatively quickly after your wrongful termination, you may not receive as much compensation as you may be hoping for in lost wages. If you have been unable to find work by the time of the trial or settlement, it is possible for future wage loss to be included. The second factor to consider is the loss of benefits. This could include situations such as you being forced to fund your own health insurance after termination. Should this occur, your employer may be liable to pay back that out of pocket expense. Loss of benefits can also include fringe benefits, such as the loss of stock options. A third factor is emotional distress. Emotional distress most often comes into play if you were the victim of especially egregious harassment or discrimination that caused you to experience anxiety, depression, or other emotional sufferings. There are additional factors that can influence wrongful termination settlements. For example, it is not uncommon for the victim to pursue claims to seek justice or personal vindication, and not just to recover lost income. Some people also seek settlements to find validation and closure about their discrimination and subsequent termination. They may also be motivated to see company policies change. If you are considering filing a wrongful termination suit against your employer, the best thing you can do is to speak to an employment law attorney. An employment law attorney will be able to tell you whether or not you have actual grounds to pursue a wrongful termination case or not. Many people pursue wrongful termination lawsuits when their firing does not qualify as wrongful termination. 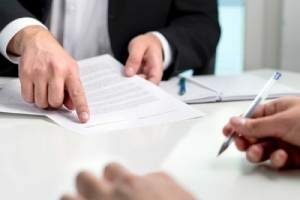 It has also been shown that people who choose to have an employment law attorney represent them receive more money from settlement than someone who chooses to represent themselves. Speak to an employment law attorney for more information on wrongful termination and your options about filing a lawsuit.